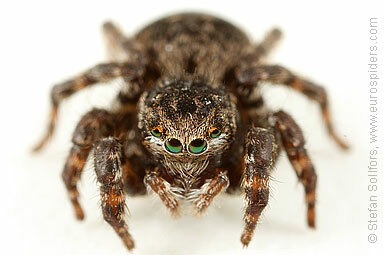 Female Aelurillus v-insignitus, the green-eyed monster. 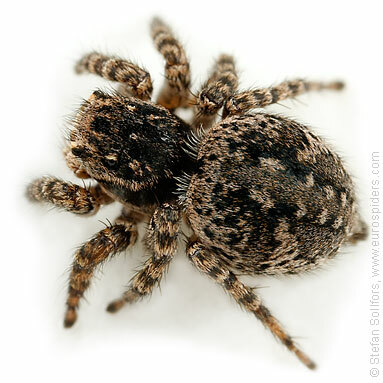 Female Aelurillus v-insignitus, side view. 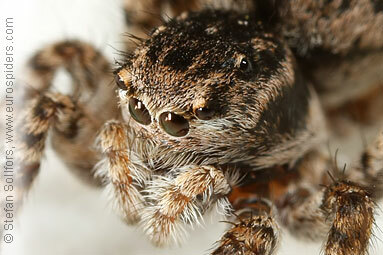 Female Aelurillus v-insignitus, close-up of the head. 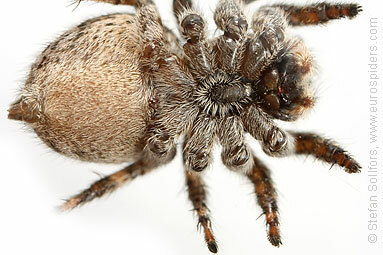 Female Aelurillus v-insignitus from below. 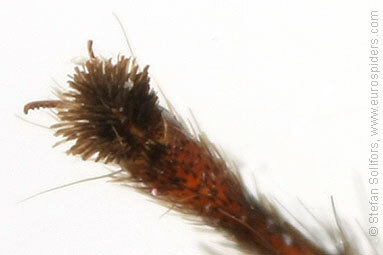 Female Aelurillus v-insignitus, close-up of epigyne. Close-up of a foot from below. 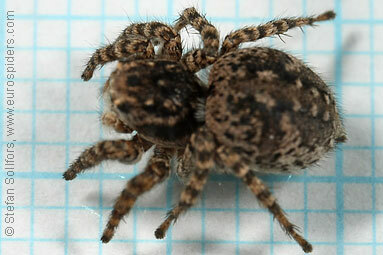 Female Aelurillus v-insignitus, almost 7 mm. 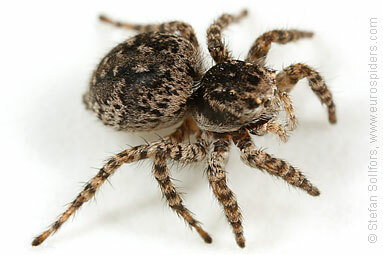 The jumping spider Aelurillus v-insignitus.